Aside from the dim sum type of restaurants, best Chinese restaurant I’ve been to so far. Everything we ordered came out tasty with good flavor…not bland or salty. Will be my go to if I’m craving Chinese. A lot of free parking makes it even better. Whenever my fam has a get together in our family house in Kalihi, we always order party trays from this place. I finally got the chance to eat inside & I love this place even more! Service is so good, and the food is even better! Friendly people and always smiling. Their cake noodle is crunchy yet soft and the sauce is very light. Like, I don’t feel as fat eating it haha! I got to try their Honey Walnut Shrimp for the first time & it’s so good. Probably my favorite now. They have different specials every day. Parking is good cuz it’s a big lot & they have pretty speedy service. Thank you Hong Nien! Chinese beef stew wun tun mein here is HANDS down the BEST I have tasted across the globe. If you like tendon and bean curd wrapping (hu jook (sp?)) then you will love this meal. The shimp fried rice rivals Panda Cuisine at a fraction of the cost (that is saying a lot cause that Panda fried rice is a killa). BIG ups to this small place in Kalihi, it is worth the trip…. You’re getting Hong Kong style cusine locally in Hawaii. Try their dinner for 4 special which includes their popular Salt and Pepper Kahuku Shrimp, Sweet Sour Fish, Half HK Crispy Chicken, Mongolian Beef, Spicy Szechuan Eggplant w/ chicken, Rainbow Corn Velvet Soup, and steamed rice with complimentary hot oolong tea. Worth the price!! If you buy it ala-carte separately you’d spend a bit more. 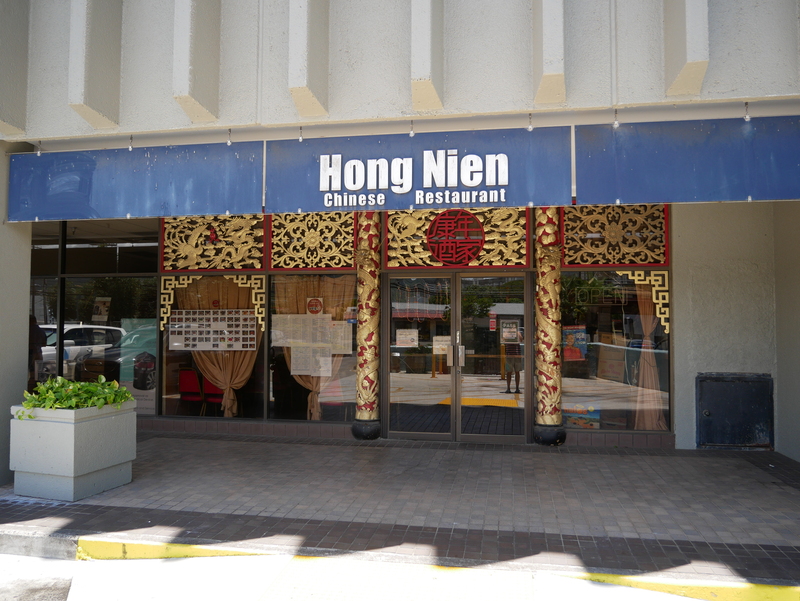 2018 Hong Nien Chinese Restaurant. All Rights Reserved.